What makes one resilient? A former prison inmate explains. My biggest setback in life was when I landed up in jail. I was the fall guy for my new employer where I had started work 2 months earlier. Going to jail was never in my list of possibilities. I was in a state of shock, and my first concern was my own safety and security. Once that was ensured, jail time was boredom and lack of purpose. It was a pointless wait for liberty. But I didn’t want my time in jail to be a waste. So I looked at the options available to me. I could always get deep into alcohol or start doing drugs, which were all available. But I wanted to do something positive and constructive. My limited existence allowed for the use of a pen and paper, and also physical exercise for some hours of the day. So I started writing and running. My writing was a diary of my daily experiences. I had never published anything, but I had this vague notion that someone might publish my writing about jail. It gave me a creative outlet and a sense of purpose. The running helped me stay strong and positive through my time in jail. I was finally released after one month of imprisonment. 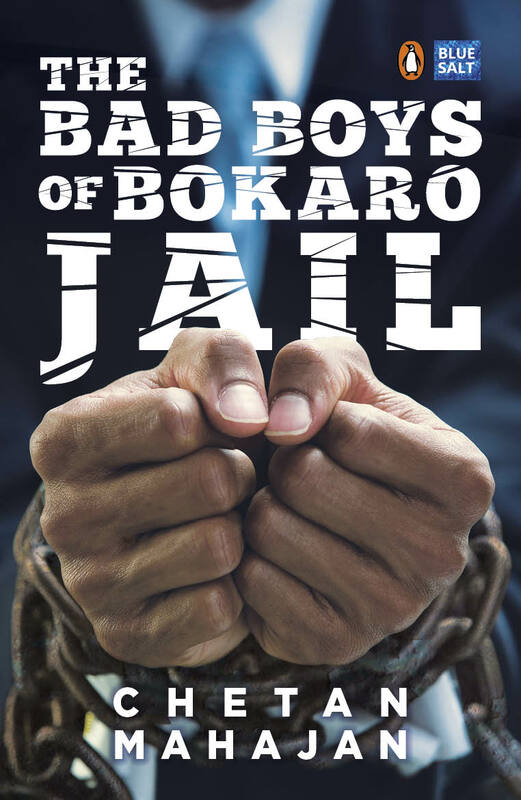 Penguin published my book “The Bad Boys of Bokaro Jail” a year later. One of the outcomes of the positive attitude is that you look at the setback as something to learn from. And that often leads you to purpose. We seek purpose in all our experiences. If we don’t have a purpose, we have to find one. Or create one. Victoria Ruvolo’s is a touching story. A projectile came through her car’s windscreen and hit her face as she was driving. She was in surgery for 10 hours, and in induced coma for two weeks. When she finally came to, she had no idea what had happened. The projectile was a frozen turkey which some teenagers had bought on a stolen credit card. One teenager flung out of their car window. The teenager – Ryan Cushing – who had thrown the Turkey was up for 25 years in jail. Victoria requested the court for amnesty for him, and he got off with just six months. Now she devotes her life to helping truant teenagers – proverbial lost souls – find goodness and meaning in their lives. That is her purpose now. She does public speaking, has written books, and does much work to help struggling youths. When we hit a bad patch, our first instinct can be to let go of our health. We may start eating junk or stop exercising. That’s a mistake. when you find yourself in a dark place, you are your biggest asset. You have to take care of yourself. Even at the emotional level, it is a good idea to remind ourselves of how we are lucky in so many ways. One way to do this is to write a gratitude Journal. In this you can list out the many things you have that you should be grateful for. This can include the fact that you have a roof on your head and three meals a day, family and friends who love you, and happy incidents that have stayed with you. Everything you remember fondly is something to be grateful for. It will help you recognize and appreciate the many things that you take for granted everyday. Manasi Joshi was a young Badminton Player from Mumbai who lost her left leg in an accident. As an amazing example of resilience, she went on to win a silver medal in the Paralympics. She says “I can either choose to cry about it, or take it with a pinch of salt and push myself…I picked the latter. In fact when people used to come to visit me in the hospital and get emotional — I would tell them jokes to make them laugh”. Creativity can be a very important tool for bouncing back. When you hit a setback, you have to rethink things. Creativity helps you rethink your purpose. The path to realizing that purpose would also need you to be creative. Victoria is now a keynote speaker – she wouldn’t have been able to make that jump without creativity. Creativity helps come up with solutions and options you may never have thought about otherwise. After my jailtime was done and my name cleared, I resumed everyday life. But life gave me another opportunity to test the above principles. The air quality of India’s capital city induced a severe wheezing problem in my six year old. We decided to leave the city for the mountains – the Himalayas. We had beautiful greenery, nature, amazing views and no source of income. I looked at my options again. One option was weed which grows, umm, like a weed in these parts. But again, I was looking for something positive and constructive. My tool-kit contained writing, teaching and a love for the mountains. I started blogging about the experience of rural Himalayan life and leaving the city at www.uncityblog.wordpress.com. I asked around and did some digging, and realized that there were no good writing retreats in India. That led to the creation of the Himalayan Writing Retreat. What started as a small experiment has now become a whole community, a source of income and much joy. The attitude, the search for a new purpose, and creativity had all come together to help me be resilient again. This time again I kept walking, running and laughing through what could easily have been a painful memory.